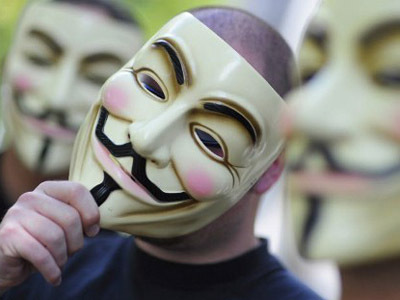 A group of hackers calling themselves the Russian branch of the Anonymous Movement promised to launch cyber attacks on the websites of the Russian state agencies to support the opposition. 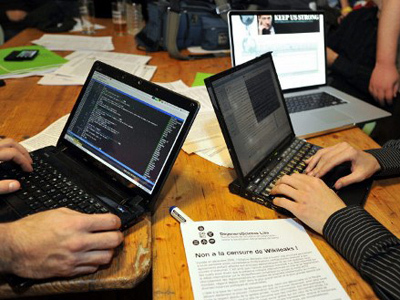 The hackers announced their intent by posting videos on two micro-blogs. In these videos they said that the Russian government website will be subjected to DDOS attack on May 6, and on May 7 the same will happen with the prime minister’s site. May 7 is the day when Prime Minister and President-elect Vladimir Putin will be inaugurated as the President of Russian Federation. The hackers said that the attacks will be held in support of the “mass rally against the illegitimate elections,” apparently meaning the 5000-strong opposition rally, dubbed by the media as the March of Millions. “We will support this protest by switching off the state websites that are full of lies, and the website of the Russian government will be the first. Let these civil servants see the love of the people who elected them at these ‘most honest and transparent elections in Russian history’. Just a few simple actions will bring the rotten and corrupt system to the appropriate crash. It will ruin itself,” the video address says. The hackers then posted instructions for everyone who would like to participate in attacks. So far, the self-proclaimed Russian branch of the shadowy hacker movement is known for two major actions. In late January they made public the allegedly hacked emails of the head of the Russian Agency for Affairs of Youth and the press secretary of the pro-Kremlin youth movement Nashi. 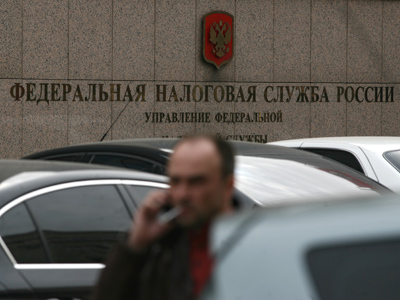 A few days after that they attacked the websites of some regional branches of the United Russia party. 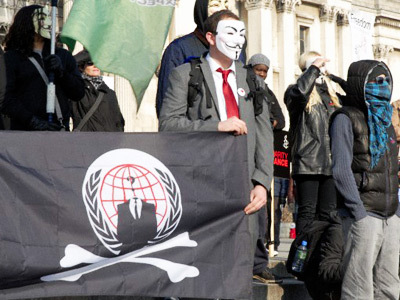 Anonymous demanded that the authorities were more resolute in the fight against corruption and opposed the moves restricting the freedom of expression on the internet. Before Anonymous, several Russian media of pro-market orientation claimed that their websites had been brought down by hacker attacks and blamed the pro-Kremlin activists for that. President Dmitry Medvedev commented on the incident at a meeting with journalists, saying that the attacks were a very sad thing that should never happen, but added that it was extremely unlikely that the police could fine those involved in the crime.